One of my favorite parts about reading blogs is to watch how the writers of my favorite blogs develop over the years, and one of the ones that has been the most fun to follow over the years is Smitten Kitchen written by Deb Perelman who started in 2003 writing Smitten logging stories about her life, which turned into logging stories about her relationship with the adorable Alex, and then she morphed herself into one of the best food writers out there (in my oh so humble opinion)! In her continuing amazingness Deb wrote her own cookbook the smitten kitchen cookbook which is filled with all new recipes that Deb has developed and tested and now shared with us. So of course upon buying it on a quiet Sunday I had to come home and after reading it cover to cover make dinner using some of Deb’s awesome recipes. 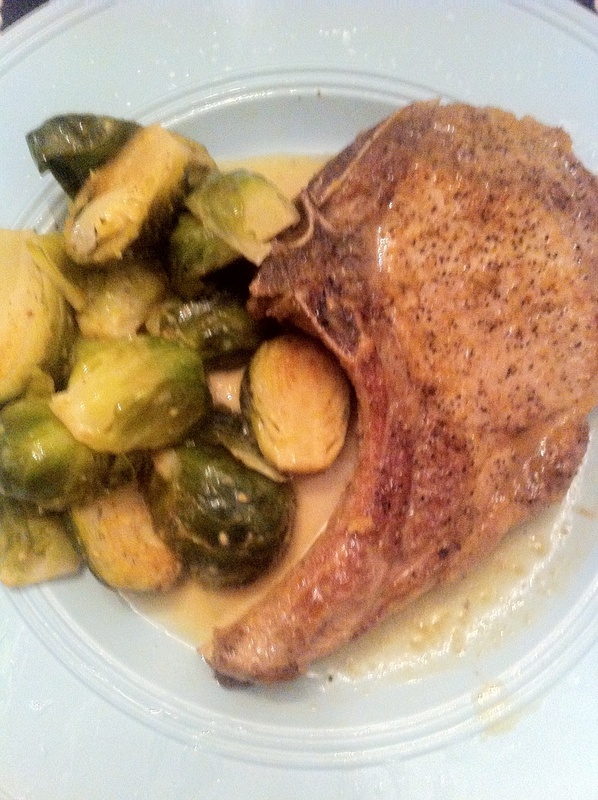 After surveying the contents of my fridge I went with one recipe from the book, pork chops with cider, horseradish, and dill which I paired with one from the website dijon-braised brussel sprouts. First, a quick work about the pork chops. 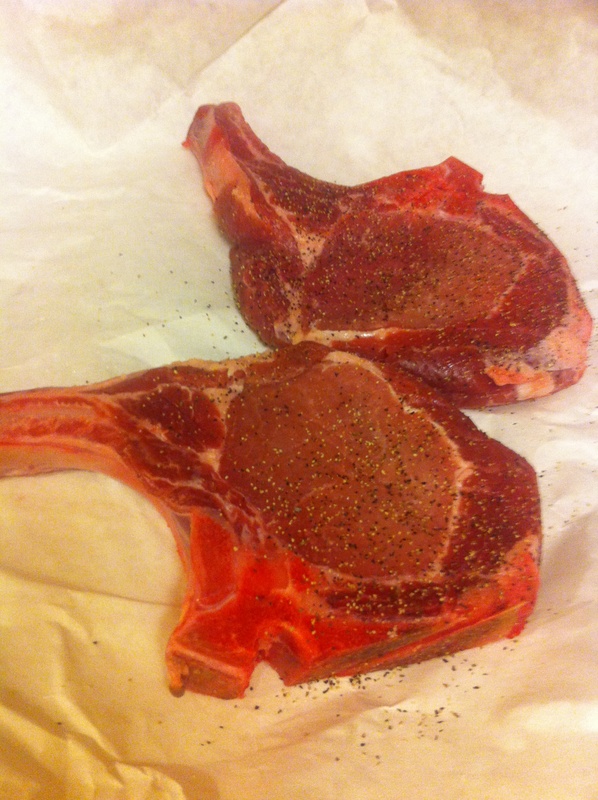 I bought them from a real butcher who sells organic and free range meat and HO-LY bacon were they crazy tasty. Normally I get my pork chops, and other meat, from the fine folks at Trader Joe’s where you are probably going to pay between $7 and $8 per pound. 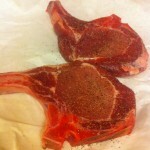 My butcher charged $11.99 per pound and while they were more expensive but they were worth every last penny. 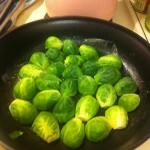 The pork chops turned out tender and juicy and absolutely amazing, however I was less impressed with the brussel sprouts, which I do attribute to the recipe but rather my own self. 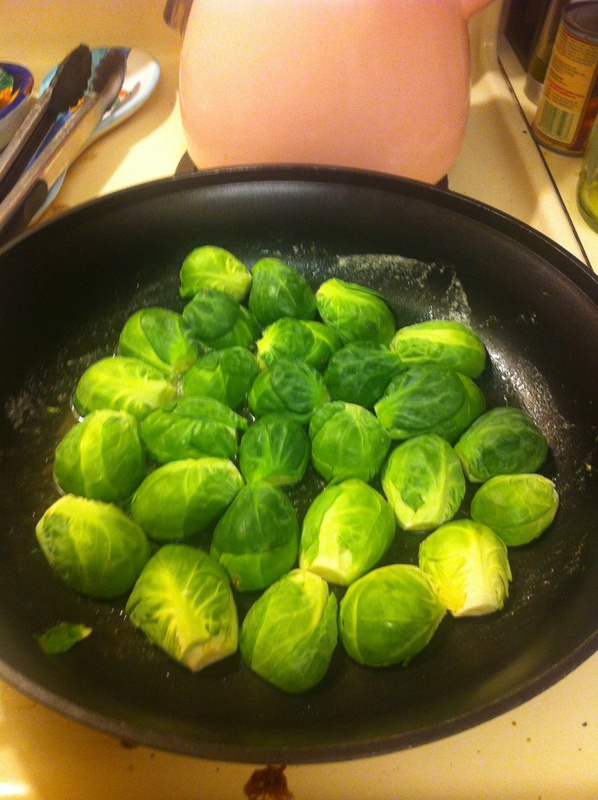 Normally when I make brussel sprouts I roast them nice and crispy, so while the flavor of these was excellent the texture was soft to the point of mushy. 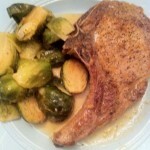 Combined on the plate the glaze from the pork chops and the sauce from the brussel sprouts combined to make a delicious, spicy, vinegary mix that was perfect for dipping everything into!